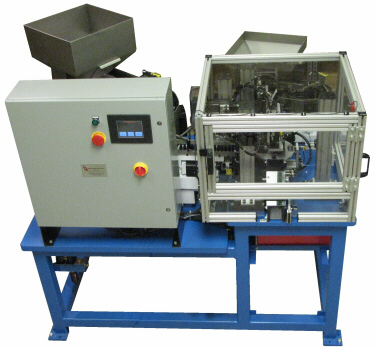 CDS Manufacturing designed and built this automatic o-ring installation system for an automotive application. This system automatically installs o-rings onto draincocks at a rate of 30 parts per minute. An on board vision inspection system confirms o-ring installation and a good / reject gating system automatically diverts reject product to a reject storage container.